A seed company that once was open and thriving has now gone to seed. In addition to the ‘Americana’ feel to this, I am struck by two things. 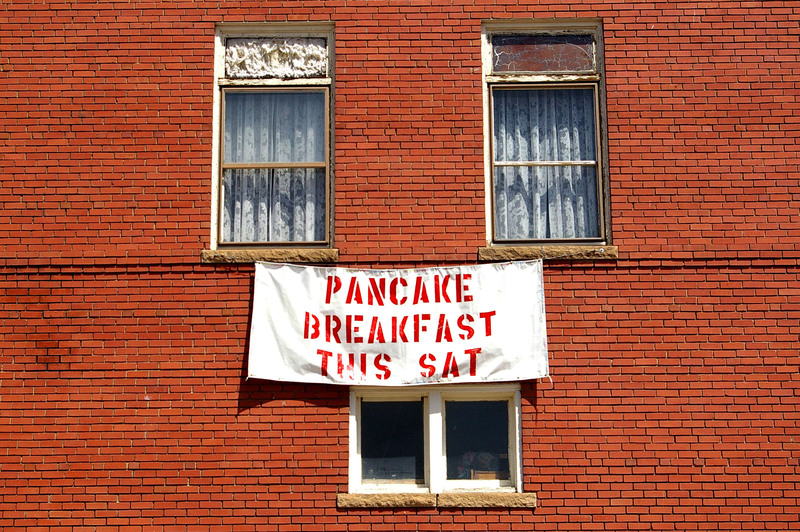 First there is the curious spacing on the painted lettering. It appears they created space to allow the door full exposure, without the possibility of distraction from letters. But more striking are the white stains behind the windows which to my eye creates a very real ghost like effect. Scary as hell, me thinks. 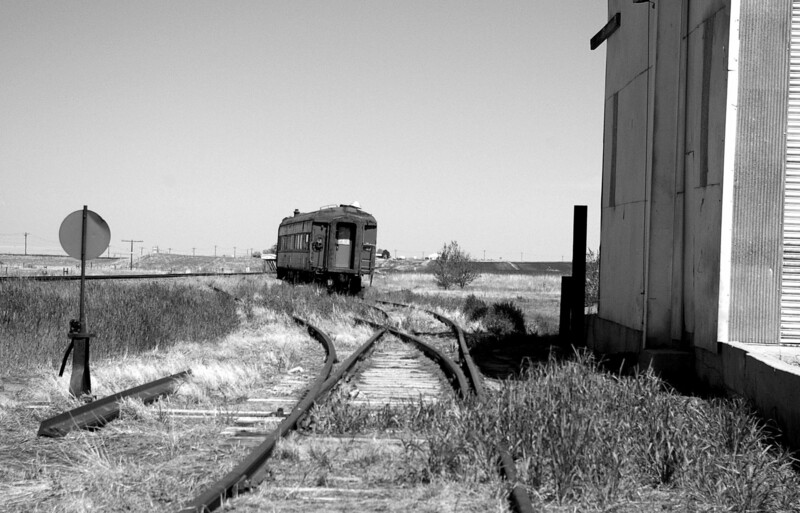 A lone car sits on a forgotten track, lost in a tiny farming town in Colorado. 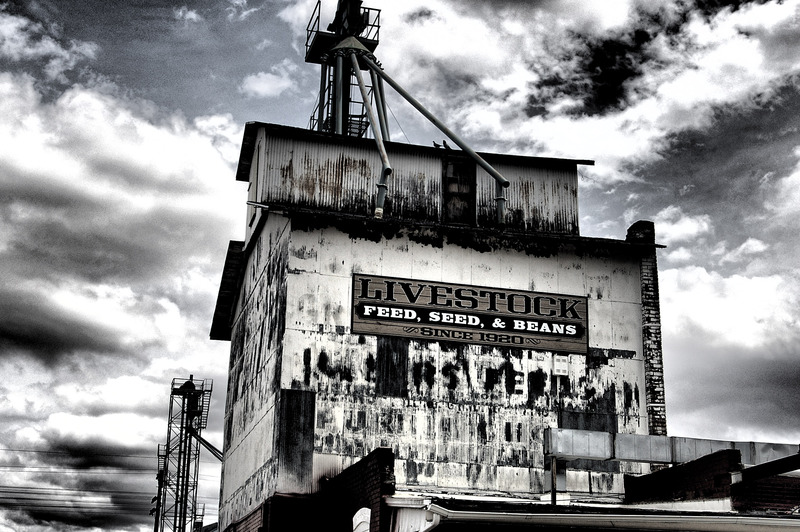 A neighboring town with a very large and closed silo. Love the well ventilated roof. My new blogging friend Carol and I recently found some images in a tiny town in Northern Colorado. 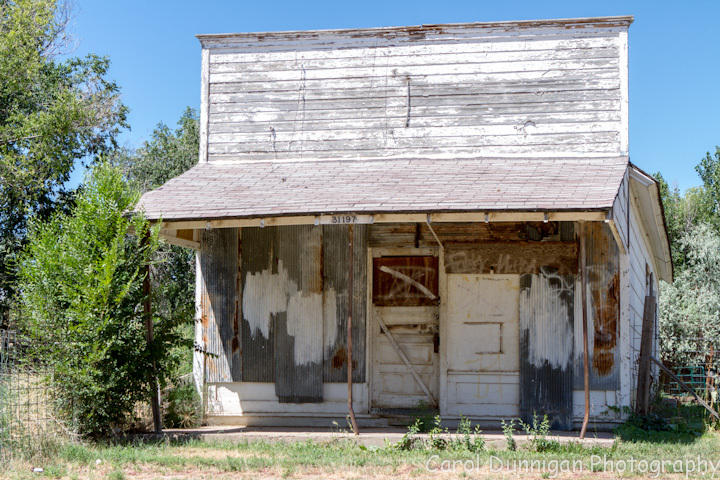 Here is Carol’s stunning image of the exterior of what would have been a general store. My contribution is a closer look at the front of this building revealing a colorful palette. 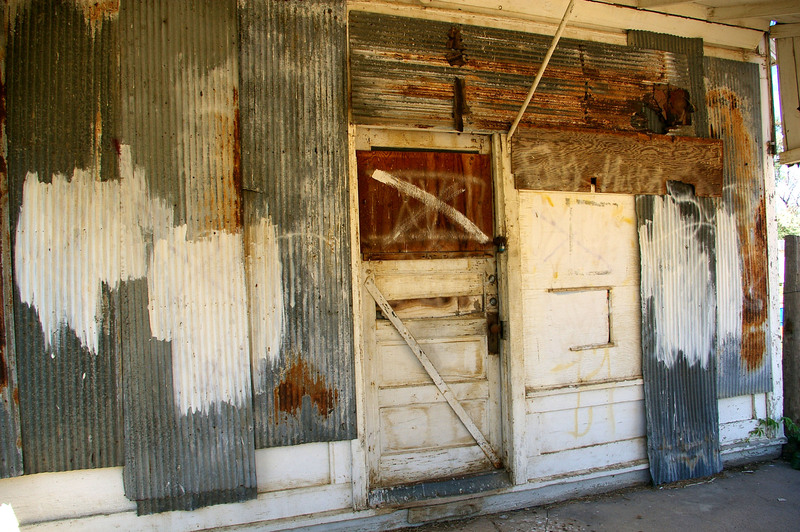 The tiny Northern Colorado town of Gill may well have passed ‘sleepy’ and is now close to dead. 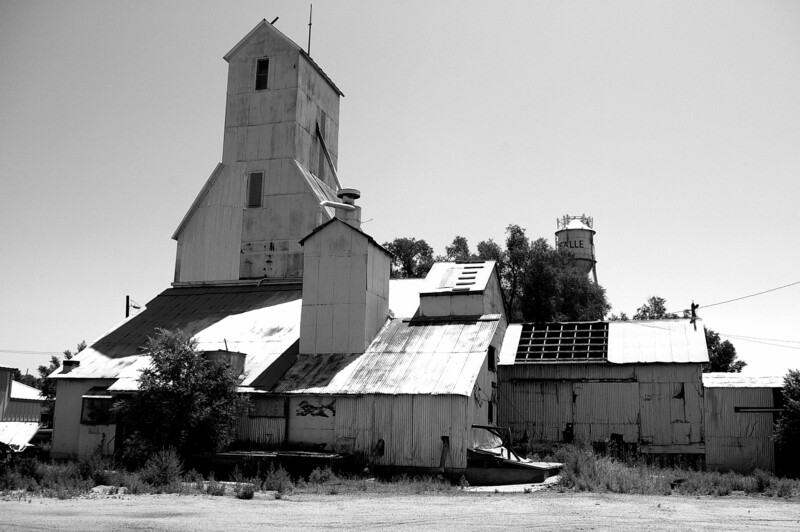 There is a grain elevator, and scattered homes in various states of disrepair. 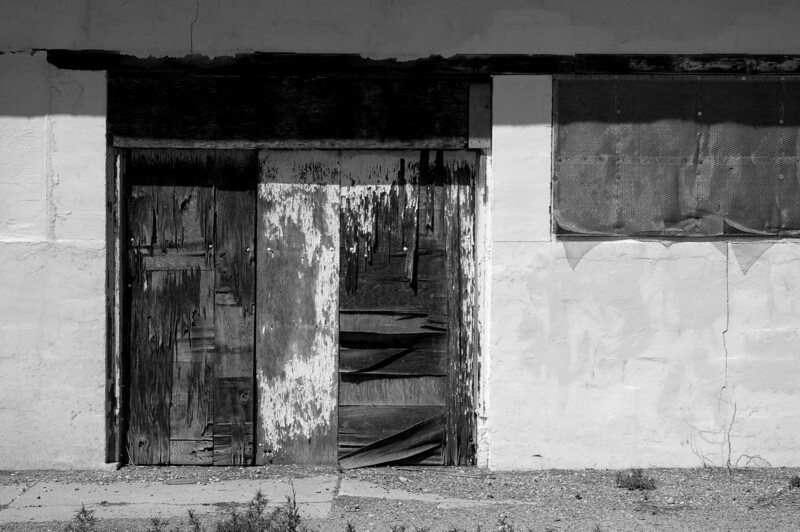 This may have been a store front before surrendering to economics and time.